There are some people that think all Realtors are the same. That would be like saying all Drs or Lawyers or Teachers are all the same. There are good and bad in every profession. 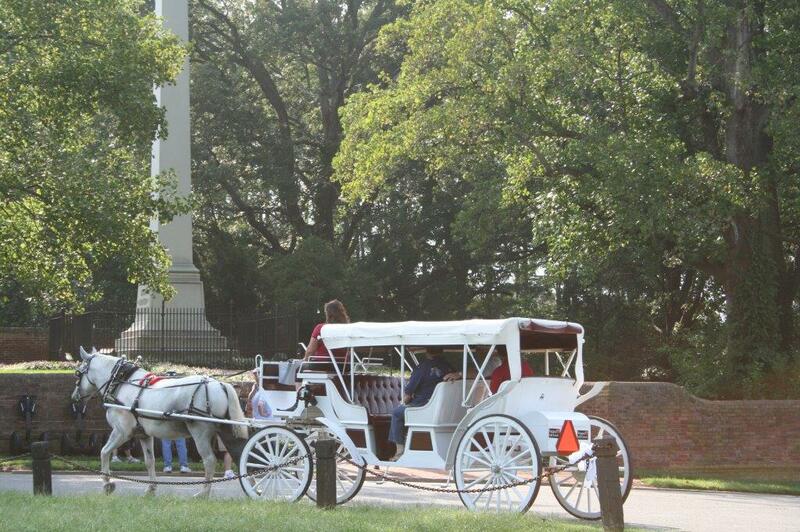 So how do you choose and Realtor in Fredericksburg, Va? Be sure to ask for References. Good agents have Testimonials or Reviews online on such sites as Zillow or Trulia. I also save copies and have them readily available for future clients to view. Call some of the Agent’s past clients and ask about the transaction, guidance, communication, and negotiating. Interviewing your Realtor is very important. Have specific questions ready for them. You are hiring us for a job and you want to make sure we will do a good job for you. Ask how we operate, experience, marketing, etc. When you are ready to choose a Realtor in Fredericksburg, VA, look for someone that knows YOUR local market. Hiring someone 45 or 60 miles away just because they are in an area where home prices are higher, will not make your home price higher. In fact, you may end up with an agent that you never see, doesn’t do local marketing for you, doesn’t communicate with local agents, etc. They may not have the lock box that is used in your area and placing one of theirs on your home makes it more difficult for Realtors in your area to show your home. It only takes 1 buyer and if that 1 buyer can’t get in, they will buy something else. Many Sellers are tempted to choose the Realtor that will List their home at an inflated price. Then their home sits on the market for months and costs them money. Or they miss out on potential buyers if it’s priced just out of their price range. Choose a Realtor in Fredericksburg, VA that is going to work for YOU and be YOUR advocate. Hire someone you have good rapport with and has great negotiating skills and will be with you every step of the way! Besides the Super Bowl at this time of year, we all look forward to Restaurant Week in Fredericksburg, VA. More than 20 restaurants are participating this year. It seems like we get more and more each year and we love the selection. Restaurant Week for 2015 is January 16 to 26. The Downtown Restaurants offer Lunch and /or Dinner during Restaurant Week in Fredericksburg. Lunch is a 2 course meal and priced at $10.15. Dinner is a 3 course meal and priced at $20.15. It’s a great time to take advantage of dining at our superb restaurants here. We never have enough time to try them all but we do have our favorites. A few of those participating are Brocks, Foode, Petite Auberge, La Rosetta (new), Capital Ale, Bavarian Chef, Bistro Bethem, Kenmore, etc. So depending on what you like, you will definitely have a great meal. For a complete list of participating restaurants and menus, go to http://www.visitfred.com/restaurant-week. I hope to see there!!! Do you need a Building Permit in Fredericksburg, VA? Building codes vary from State to State and Area to Area. Generally, if you are making any structural changes to your property, it is recommended to get a Building Permit. Any changes in Electrical, Plumbing, Adding Windows, Taking down Walls, Installing Roofs, Sheds, Sidewalks, Pools, Porches, Decks, and Driveways also may require Permits. Building Permits in Fredericksburg, VA are recommended to obtain before the project is started. Getting Building Permits in Fredericksburg, VA is a good way to protect your Home’s Value/ Investment. There are new Regulations on HVAC systems and water heaters that will go into effect in 2015 for homeowners. AC equipment standards will increase to increase the energy efficiency of the Unit. The SEER (seasonal energy efficient ratio) will increase from 13 to 14. This will most likely require a full system replacement (indoor and outdoor) which will be more expensive. If the Unit has to be replaced, the contractor must replace the Unit according to new standards for your State. Costs could actually double. Another New Regulation for Homeowners in 2015 involves hot water heaters. This is due to an amendment of the National Appliance Energy Conservation Act. This change takes effect 4/16/15. This affects all residential gas, electric, oil, and tankless water heaters. The new water heaters will be taller, wider, and heavier which will cost more for the heater itself and also could increase costs in order for the new water heaters to actually fit into the space the previous one was. These new regulations for homeowners in 2015 will be costly. If you know your hot water heater is nearly its lifespan, it may be better to act now before the new Regulations go into effect. 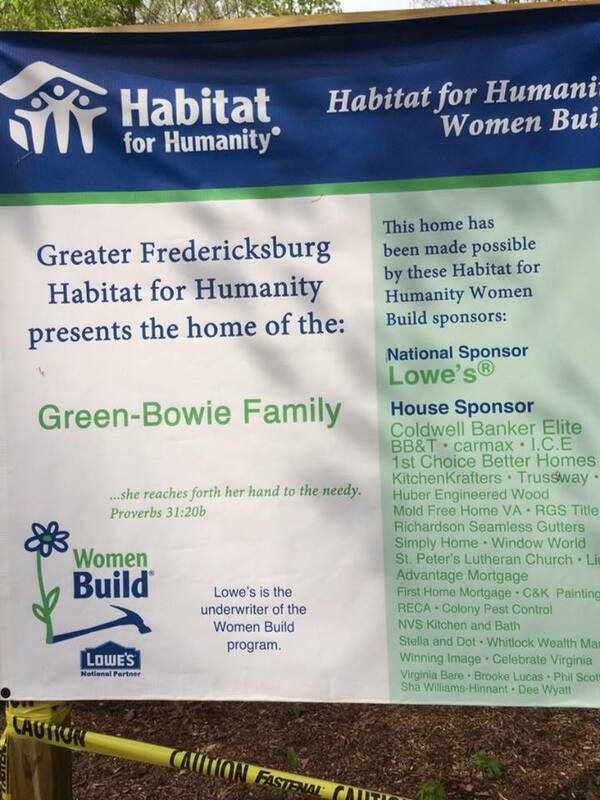 Habitat For Humanity’s ReStore in Fredericksburg has a new location! They had outgrown their location on Rt 1 and now are in Gateway Plaza off Rt. 3. They will now occupy 28,000 SF next to Gold’s Gym and are expecting donations to increase and will be hiring more staff over the next few months. Habitat for Humanity ReStores are resale stores that sell donated reusable building materials, appliances, furnishings, and more. 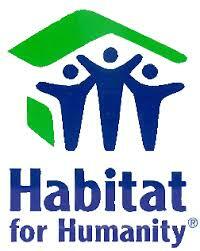 Proceeds help fund Habitat for Humanity home construction. These homes are built for families in the Fredericksburg area who qualify and who participate in the building of their home along with putting in so many hours helping to build other Habitat for Humanity homes. If you’re looking for materials for your home projects, furniture, and other miscellaneous home items, stop by and support Habitat for Humanity. 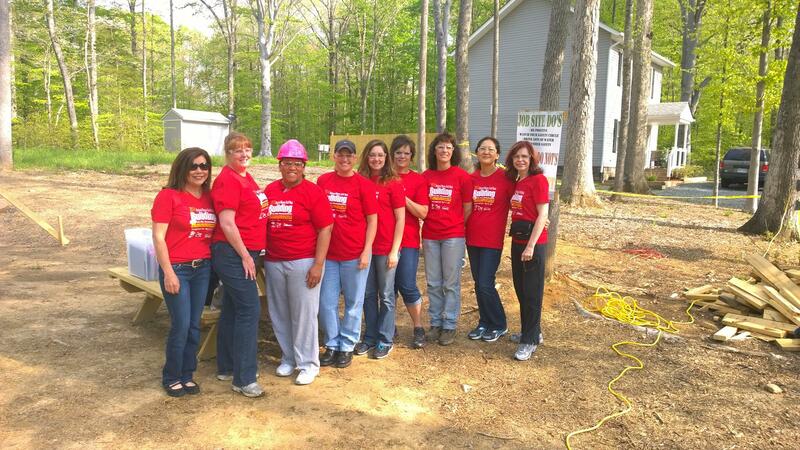 If you are looking to donate time to help build one of their homes, they could always use extra hands! It’s a great cause! If you have donations for pick up, call 540-891-5009. Volunteers are always needed. See http://www.fredhab.org for more info. The Highest Compliment I can receive are your Referrals from Friends, Family, and Business Associates! Many Homeowners are again interested in buying a home after a short sale or foreclosure. Those hurt by the Recession are now becoming eligible to purchase homes again. FHA’s Back to Work Program reduces the waiting time to just 12 months for those homeowners who went through a foreclosure or short sale during the Recession. These buyers have spent the last few years rebuilding their credit in order to buyer again. To qualify to buy a home after a short sale or foreclosure, the lender will require a lot of documentation and the short sale or foreclosure must have been a result of an economic event such as loss of income (at least 20% decrease), job relocation, etc. You need to have had good credit prior to the short sale or foreclosure as well as reestablishing good credit now in order to buy a home. Guidelines vary with lenders on how long the wait is to purchase again after a short sale or foreclosure. FHA has a 3 year wait to obtain a new FHA loan with Fannie Mae or Freddie Mac. If the foreclosure was included in a bankruptcy, the buyer only has to wait 4 years. Interest rates may be higher. There is a 2 year wait for buyers who completed a short sale. Waiting periods don’t start until the foreclosure or short sale is completed. Some buyers may qualify for a new mortgage after just a year if they had at least a 20% cut in income. This is FHA’s Back to Work program. If your credit was impaired only by a foreclosure or short sale, you should be able to repair your credit faster than buyers with other issues. A foreclosure remains on your credit report for 7 years and you will see the impact fading as time goes on. Make sure you have reestablished your credit by paying other bills on time. A foreclosure can have less negative impact than if you have many late or missed payments. Homebuyers should speak to a lender familiar with the Bank to Work Program to see if they qualify to buy a home after a short sale or foreclosure. Lenders may also be able to counsel you on any credit issues you may have (no charge) and give advice on how to remedy. A housing counseling class is also required for this program. Military Relocation Professional (MRP) is one of the National Association of Realtors (NAR) newest Certifications. With the number of Military (Active duty, Reserves, Former, and Retiring) in our area, the need for MRP was way overdue. Real Estate Professionals can now understand the needs and the timetables of the Military to make transfers easier and less stressful. It’s important to find housing solutions that best suit the Military member’s needs and take full advantage of Military Benefits. This is what a MRP Realtor is trained specifically in. Many Realtors claim and advertise to be Military Relo Specialists but are NOT certified by NAR as such. Hiring MRP makes a difference. WE are specially trained to work for you, the Military. We are familiar with what is available in our community and also able to give the Military member resources because of our training and experience. We also understand and are able to help Disabled Veterans with resources available to meet their needs. It’s important to work with a lender familiar with VA loans. Lenders need to know the VA loan product inside and out to prevent issues that may occur through the buying process. Did you purchase a home in the housing boom and now forced to PCS? Wouldn’t it make sense to have a REALTOR who is not only familiar with Short Sales but also with Military issues working for you? We (MRP Certified Realtors) have the answers for you! Can I use my VA mortgage more than once? Are there any Grants available to help with my Disability? How many years after I’m Discharged or Retired do I have for the Military to pay for my last move? Can I be denied a Short Sale is I’m being PCSd? Can I get a VA mortgage even though I filed for bankruptcy? Can I use my VA loan to purchase a Duplex or Vacation home? Do I have to pay the Funding Fee? Can I add my Funding Fee into my loan amount? Can I get exempt from property taxes with my Disability? Is my VA mortgage assumable? These and many more questions can be answered by a REALTOR who is MRP certified. As a wife of a Retired Marine, I was familiar with Military benefits but MRP has given me even more information and resources to assist Military members in real estate and advocate for them. Hire a Military Relocation Professional (MRP) Realtor to work for you! It’s time for our 2014 Tax Assessments in Stafford and Spotsylvania Counties again. Properties are reassessed here every 2 years. Many of you in Spotsylvania County have received yours in January. Stafford’s should be out shortly. Spotsylvania’s tax rate is currently $.88/ $100 of assessed value for property taxes. They are proposing $.86/$100. If your home is assessed at $200,000, your tax would be $1720/yr. Home values have risen since 2012 (up approximately 4.25% in Spotsy). To help equalize that increase, the County Supervisors are proposing to decrease the rate slightly. On April 3, there will be a public hearing at Courtland HS. On April 15, the supervisors will approve the budget and tax rate. 2014 Tax Assessments in Stafford are currently $1.07/$100. Stafford will be mailing their assessments out in February. 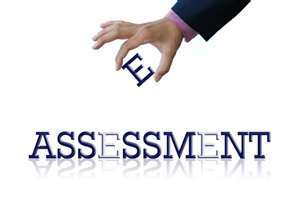 We are seeing Assessments up 8% in Stafford. The median single family home value is up $20,000. To help equalize this increase, County Supervisors are proposing the new rate of $1.01/$100. Some homeowners may not be happy with the 2014 Tax Assessments in Stafford and Spotsylvania Counties. Our economy is improving and home values are up. If you feel your assessment is not accurate, you can dispute it through an appeal process. You’ll need to compare your neighbors homes and their assessments. You’ll need comps (homes that recently sold nearby with about the same Square Footage) to send in as part of your supporting evidence. I’d be happy to provide you with those. Just contact me with your address and I will email those to you. Appeals are accepted for Stafford in March. You don’t want to miss the deadline or you will have to wait another 2 years for the next assessment. There will be information provided in your new Tax Assessments on how to appeal.